We're looking for someone with print experience to manage our long-running magazine. 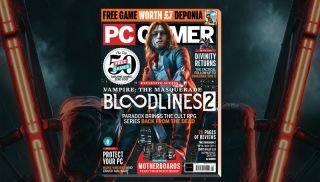 We're hiring a Managing Editor to run PC Gamer magazine in our office in Bath, UK. The right candidate will have a background in print media, and a lot of love for PC gaming. Our magazine has been around since 1993, and it's incredibly important to us—so this is an exciting role, with a lot of exciting creative and organisational challenges. You'll play a key part in shaping its next phase. If you think you're right for the job, we'd love to hear from you. You can apply for the role and find out more info here.